Most people know they are sick or their health is at risk because of symptoms – pain, temperature, swelling, rash etc. These are the alarm bells that drive people to doctors. However, new epidemics like obesity and type 2 diabetes can start causing damage a long time before symptoms appear, and no alarms go off. Today we can meet these challenges with new allies. Beyond the health and fitness uses, the new world of wearables (external surface sensors) and, in time, digestibles (nanoparticle sensors that can transmit information from within), offer the opportunity to restore control back to us. Advances in biotechnology as well as material science offer us alternatives never before dreamed possible. This contact lens has an embedded sensor that measures the glucose level in your tears every second and transmits that data to a device (ie a smartphone) where it can be displayed or transmitted to a medical professional. It can also change colour if glucose levels fall below or rise above specific levels. The limiting step at the moment is powering the device. Currently it includes a small antenna which is placed between two layers of glass along with the sensor but this has to be close to a power source. Butterfly biostamps the size of a thumbnail measure sun exposure, and a medical stamp can measure motion, temperature, heart rate and perspiration, or oxygen saturation. There’s a new version that can be placed directly on brain tissue to monitor epileptic seizures and one that can be draped around the heart helping better detect arrhythmias and give finer control to pacemakers. The latter would use the heart’s motion to convert the energy of muscular contraction into electrical energy. The 2025 vision is that every baby in the developing world will be tagged with several biostamps at birth. One on the wrist or ankle would replace the hospital bracelet and allow nurses to monitor the baby’s heart rate, temperature respiratory rate and oxygenation. At UC San Diego, they have created a different type of tattoo which currently lasts on the skin for about 24 hours, applying a very mild electrical current to the skin surface for 10 minutes forcing sodium ions to migrate towards the printed electrodes. A built-in sensor then interprets the strength of the charge generated to determine a person’s overall glucose levels. Two further refinements are needed to make this ready; at present it is not connected to a numeric read out, and they are working to extend the life beyond 24 hours. A team at Princeton printed a bionic ear and a team at Cambridge has printed retinal cells to form complex eye tissue. But Jennifer Lewis, a biological engineering professor at Harvard, has solved the dilemma of how to print tissues with full blood supply (essential if you are going to create functional replacement organs) and has taken her team closer to being able to print a full kidney (currently the most widely transported organ). Making complete organs requires even more complex structures but with new innovations we can look to a future where damaged or worn out organs, from kidneys to hearts, could be printed to precise design specifications. Various forms of direct stimulation to the brain (implanted electrodes, vagal nerve stimulation etc) have been used in a variety of situations including depression. Now there is the possibility to use encoded genetic proteins that change in the presence of light to stimulate areas of the brain non-invasively for a particular purpose. While initial approaches used methods to genetically alter cells that could result in cell destruction limiting their practical value, the University of Chicago has recently developed an alternative which uses tiny gold nanoparticles that allow the modification of cells using low-level infrared lights and which remain intact and effective within cells over the long term without hurting or damaging nearby cells. While still in its infancy, in the next 10 years we will see new approaches and even more refined procedures of central nervous stimulation used to do everything from enhance learning to treat depression. A low-cost device with multiple sensors that could monitor heart rate, temperature, oxygen saturation, blood pressure, respiratory rate, fluid state, and glucose could provide a comprehensive output on the body’s dynamic health. While still in phased development, the first versions of such devices exist in the US and Switzerland. Couple their sensor capabilities with analytic data fusion software and you have real-time dynamic physiological data. No longer do I need to do an artificial stress test to see how your heart behaves under strain or what is most likely to push you into diabetic crisis. Now I can see that your heart’s function was pushed to extremes at 2pm on Thursday and 5pm on Friday. With a report of your body’s reaction to exercise, increased stress at work, overeating, episodic illness, lack of sleep, you can not only assess your vulnerability but understand what patterns in your life will most likely tip you over the edge. When I get up in the morning currently I know more about the state of my car than I do about my own health. With these technologies finally that is about to change. Surgeons at Boston Children’s Hospital started using 3D-printed copies of patients’ affected body parts to prepare for procedures last year. Now, that move has helped save the lives of four children aged two months to 16 years old who suffered from life-threatening blood vessel malformation in their brains. Their condition gave ride to distinctive anatomies that one of the hospital’s neurosurgeon, Edward Smith, said were really tricky to operate on. So, the doctors used a combination of 3D printing and synthetic resins to conjure up copies of the kids’ deformed vessels, along with nearby normal counterparts and surrounding brain anatomy. That gave them the chance to practice extensively beforehand and reduce possible complications on the operating table. Smith said the models allowed them to “view [the formations] from different angles, practice the operation with real instruments and get tactile feedback.” It was especially beneficial for three of the four patients, as they had arteriovenous malformations (AVMs) — their arteries and veins were all tangled up – that required the surgeons to cut blood vessels as quickly as possible, and in a certain sequence. Thanks to their preparations, the surgeons managed to fix the kids’ distorted blood vessels and cut surgery time by 30 minutes each. Smith and his colleague Darren Orbach now plan to use 3D printing to train younger doctors and for even trickier cases in the future. A group of Harvard scientists have built a 3D printer! Despite all the fanfare, 3D printing has yet to hit its stride. Up until now, its best uses have been in designing, prototyping, and making creepy copies of yourself. This tends to stem from the fact that you can generally only print with one material at a time, and in most cases, it’s faster to use traditional manufacturing methods than 3D printing. But Voxel8 wants to change that: Its printer can print circuits right into other objects. “3D printing fails when it’s asked to do the same thing that a traditional manufacturing process already does,” co-founder Dan Oliver told Quartz. He said the company was born out of Harvard’s material science lab and the research of Professor Jennifer Lewis. Oliver said the name Voxel8 is a combination of “voxel”—which is a pixel with volume—and a play on the word “pixelate,” meaning to digitize an image. And that’s basically what its printer will let you do: make physical objects with digital elements. Oliver said the company is already working on ways to incorporate other materials—like epoxies, silicone, and ceramics—into its 3D printer. The printing heads on its first printer are interchangeable, so in the near future, you’ll be able to print yourself some batteries, a web-connected cereal bowl, or even a pair of shoes loaded with sensors, if you felt so inclined. “People will use this to make things we haven’t even thought of,” Oliver said. But Voxel8’s process is still quite slow: It took an hour and a half for the company to print its drone, so it’s not going to replace traditional manufacturing processes any time soon. However, Oliver envisions useful applications in the short term in medical and wearable technology, where more custom-fit, ergonomic devices would be more useful than one-size-fits all devices on the market. On July 24, Voxel8 announced it had secured $12 million in funding to help bring its printer to market and develop its technology. The company showed off its printer at this year’s CES show, and it’s available now for pre-order for $9,000. Oliver said it will ship before the end of the year, and the funding will help guarantee that. Oliver views the company’s first printer as a developer’s model—similar to Facebook’s Oculus Rift shipping a version of its VR headset for researchers before fine-tuning its first consumer model. The company plans to use part of the funding to develop a higher performance version for a wider audience. A 3-year-old girl in China will finally be able to lift her head from the pillow after receiving the world’s first full skull reconstruction surgery via 3D printing technology. 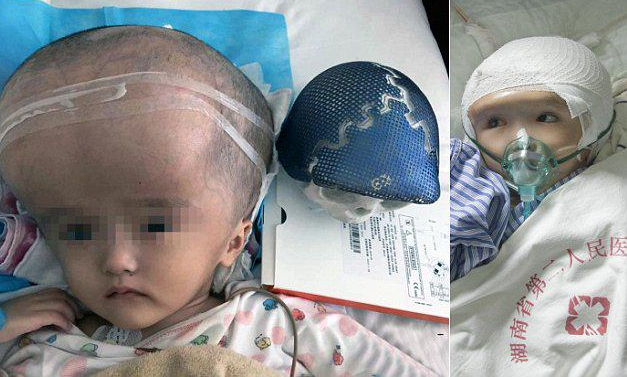 The toddler, referred to as “Han Han,” underwent 17 hours of surgery at the Second People’s Hospital of Hunan Province in China after suffering from a rare condition that caused her head to grow four times the normal size. The procedure, translated from Chinese as “whole brain shrinking plastic surgery,” involved a full 3D reconstruction and 3D printing of a new titanium skull to reposition her brain. She was first diagnosed with congenital hydrocephalus at the age of 6 months. This type of hydrocephalus is present at birth and can either be caused by events or influences that occur during fetal development, or genetic abnormalities, according to the National Institute of Neurological Disorders and Stroke. Typically in congenital hydrocephalus, the cerebrospinal fluid (CSF) surrounds the brain and spinal cord. Excessive accumulation of CSF leads to abnormal widening of spaces in the brain called ventricles. This creates potentially harmful pressure on the tissues of the brain. In infancy, the most notable symptom of hydrocephalus is a rapid increase in head circumference of an unusually large head size. For Han Han, the pressure of the excess fluid on the brain made her head weigh more than half her body weight, so much so she struggled to lift it from the pillow or get out of bed, the DailyMail reported. The toddler also developed medical problems, such as a thinning skull and poor blood supply. This prompted the family to take immediate action. Chen Youzhi, Han Han’s father, was left to scramble for cash after the toddler’s mother left when she was 1 year old. Youzhi was able to collect 100,000 Chinese Yuan in donations from family and friends to meet the goal of 400,000–500,000 Chinese Yuan (approximately $64,000–$80,000) to pay for his daughter’s surgery. It was through online donations that Youzhi was able to get his daughter the life-saving surgery that would change her life. Surgeons were able to use 3D data and a CT scanner to create models for 3D printing three titanium mesh skull implants that would together replace Han Han’s entire top portion of her skull. During the procedure, her scalp was peeled away from her skull and then attached to protective saline pads. Drainage tubes were then put in her head to slowly release the CSF. Lastly, the surgeons took the three 3D-printed titanium implants and inserted them into her head to recreate a new skull for her. The world’s first 3D printer full skull reconstructive surgery was successfully completed once Han Han opened her eyes and was breathing before being transferred to the ICU for recovery. 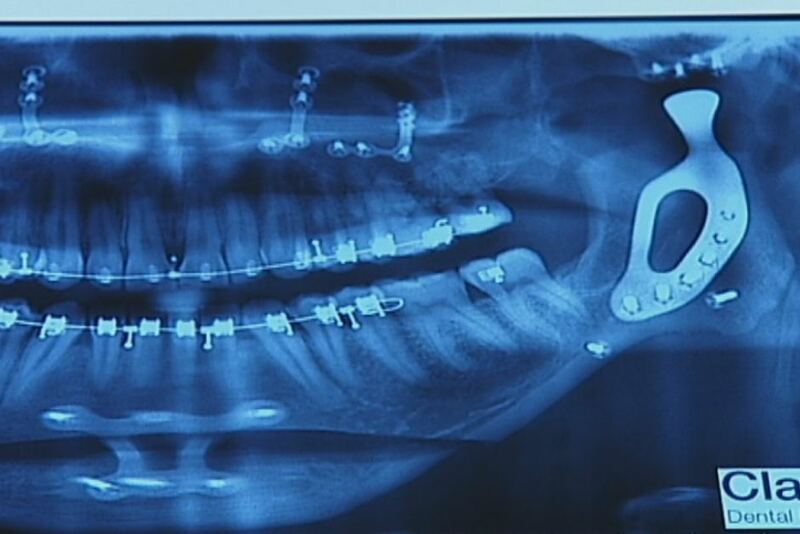 As she continues to grow, the titanium implants will become surrounded by her own bone, which will lead to the strengthening of the top of her skull. She is expected to make a full recovery. 3D printing has helped improve the lives of many infants like Han Han, including Gabriel Mandeville. The infant with epileptic seizures started to forget the fundamental things he was learning. Gabriel successfully underwent hemispherectomy treatment with a 3D-print brain replica to ensure his mental development and to help him become seizure-free. 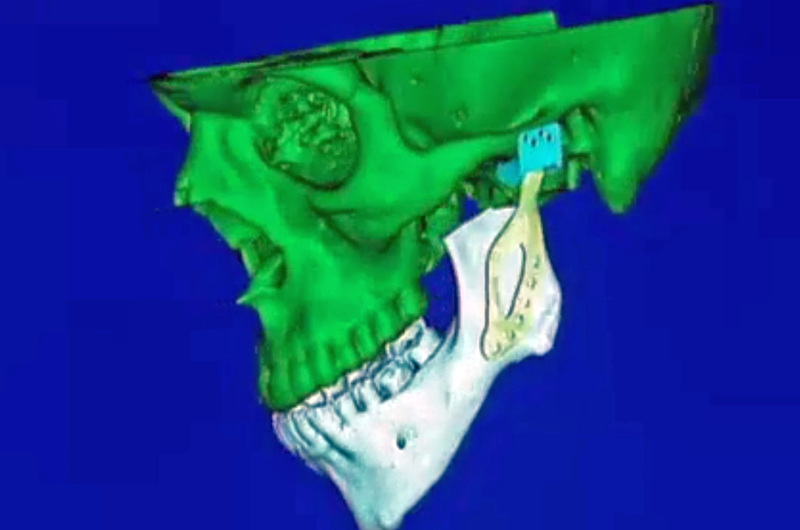 The evolution of 3D printing has led the medical world to envision a new kind of future. Medical 3D printing began with devices such as hearing aids. Now there are 3D-printed implants, bone replacements, and soon human tissue. 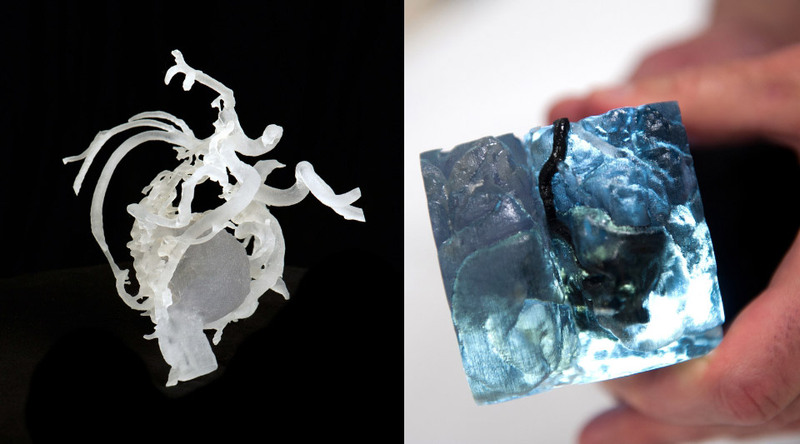 Advancements in 3D printing have helped change how people view medical illnesses. Five years ago, the thought of “mainstream 3d printing” might seem a little far-fetched for the practical manufacturer. However, the technology has advanced in such a rapid pace that the number of industries applying the process continue to increase. At the moment, 3D printing can produce anything from human stem cells to airplane parts. Indeed, the possibilities with additive manufacturing are limitless. Analysts at research company Gartner said that a technology has officially become mainstream when it reaches an adoption level of 20 percent. In 2014, a PWC survey revealed that more than two-thirds of 100 manufacturing companies were using 3D printing, with 28.9 percent stating that they were still experimenting on processes in which they would implement the in-demand technology. Additionally, 9.6 percent of the companies revealed that they were in the stages of prototyping and production, and these companies include General Electric, Boeing and Google. Companies that belong to this tier testified to the advantageous effects of 3D printing, which include time saving and cost efficiency. Another survey held by the International Data Corporation, or IDC, revealed that 90 percent of the companies that use 3D printing are very satisfied with its benefits. Large companies represent biggest buyers of 3D printer, but the high number of smaller and independent businesses opting to use 3D printing is still difficult to ignore. Keith Kmetz, vice president of Hardcopy Peripherals Solutions and Services at IDC, stated that companies that apply 3D printing are well aware of its positive benefits. “These printers are typically acquired for a specific creation workflow, but once in place, the usage expands rapidly to other types of applications. The early adopters who recognized the substantial cost and time-to-market benefits of 3D printing have carried the day, but it’s their overall satisfaction and the ability to expand usage that will ultimately drive 3D printing to the next level,” said Kmetz. In the next couple of years, more companies are expected to switch to 3D printing, and more materials will be used for a wide array of products. Currently, the most commonly used materials are basic plastics, ceramics, cement, glass and numerous metals such as titanium and aluminum. The demand for these materials will continue to increase, especially for titanium. Titanium is heavily used in the medical, aerospace, and automotive applications of 3D printing, in the form of personalised surgical implants and fuel tanks. To sustain 3D printing’s use of titanium when it hits the mainstream, the global pipeline for the semi-precious metal should be secured for the following years. Thankfully, several mines in South America are already on their way to produce high-grade supply of titanium, such as White Mountain Titanium Corporation (OTCQB: WMTM) in Chile. White Mountain Titanium sits on a deposit in Cerro Blanco that contains 112 million tons of high-grade rutile. Companies applying 3D printing can benefit from it once the mine starts distributing the supply around the world. 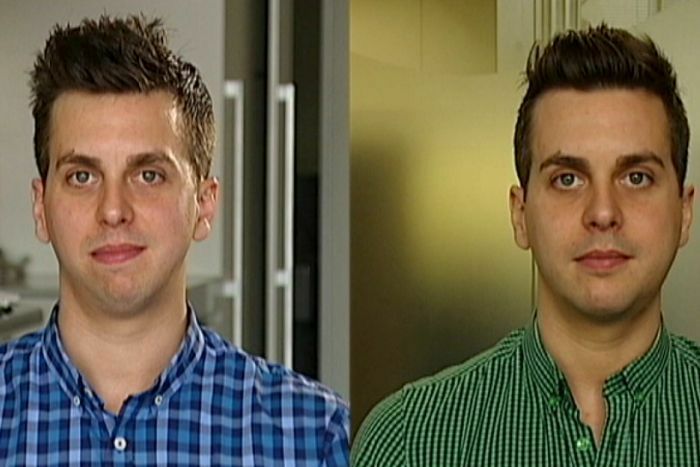 Doctors practise on an exact image of face before repairing deformity. The great thing about medical school cadavers is that they can’t die. If a surgeon in training makes a mistake, there’s always next time. It is the last environment where medical errors have no consequences. But 3D printing is changing that, giving even experienced operating room teams valuable practice on a model that looks and feels like the real thing. It has life-saving and life-altering implications. 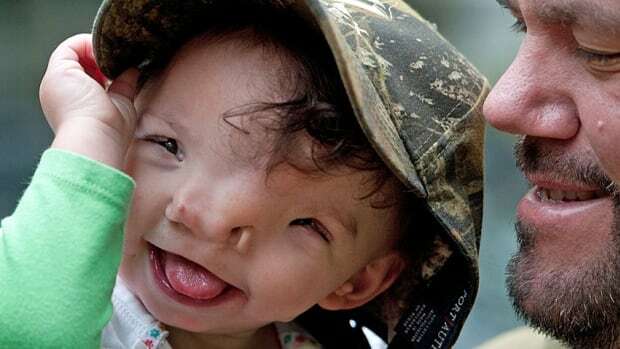 Violet Pietrok was born two years ago with a rare deformity called a Tessier cleft. The bones that normally join to form the fetal face had not fused properly. Watch David Common’s full story on The National Sunday April 5 at 9 p.m.
As a result, Violet’s eyes were set so far apart, her vision was more like a bird’s than a human’s. She also had no cartilage in her nose. But the corrective operation is extraordinarily complex. So Violet’s family turned to one of the world’s leading reconstructive surgeons, Dr. John Meara, at Boston Children’s Hospital. To get that model, the simulation team at Boston Children’s took multiple MRIs of Violet’s skull and replicated it on a 3D printer. It took more than a day to print, but the model is exact. Even the density of the bone is precise. “We were actually able to do the procedure before going into the operating room,” Meara said. During the surgery earlier this year, Meara kept a model of Violet’s skull close by and referred to it as he went through the complicated steps of the operation. This successful surgery was just the first of several that will be needed to remake Violet’s face. Boston’s success has prompted a lot of calls from hospitals around the world looking to set up their own 3D printing simulations to Dr. PeterWeinstock, who runs the Boston program. He equates medicine with sports teams. Any team worth its salt, he says, practises before the game. Weinstock’s printer now runs 24/7 preparing for procedures at Boston Children’s — well worth the $400,000 investment. The models are game-changing — giving a whole new meaning to personalized medicine. With each new print, the models are getting more sophisticated. Soon, the replicated veins and arteries will bleed as they would in real-life. Boston Children’s has also found better recovery times. Patients of surgeons who’ve practised on the models typically leave hospital sooner and get back on their feet more easily. Weinstock’s simulation program really took off a few years ago with Surgical Sam, the world’s first operable infant mannequin. But Weinstock wanted not just a model of generic human but one of a specific person. That’s also what Adam Stedman needed. Adam was born witharteriovenous malformation or AVM, a tangled mess of arteries and veins in the brain that restricts blood flow and prompts progressively worse seizures that can cause brain damage. He could have had a stroke at any moment, or a hemorrhage, his mother Amy tearily explained. But surgically tackling the web of tubes inside Adam’s brain was also potentially deadly, or it could leave him blind. The 3D printer re-created Adam’s brain — including the AVM — something his surgeon could hold, manipulate, examine, re-examine and ultimately, practice on. The surgery was a success — taking only a third of the expected time because the entire operating room team had done it before just hours earlier on the practice model. When Adam came out of the OR, he smiled and his mother broke down. “He just has a blind spot,” she said in an interview in her Connecticut home. To her, that’s a big improvement. TAMPA — For many, a scene on Grey’s Anatomy involving a 3-D printer may have been their first exposure to a seemingly futuristic technology that is in widespread use right now around Tampa Bay. The use of 3-D printers has grown steadily since the 1980s, when they were used almost exclusively in large government labs. These days, you can drop by the main branch of the Tampa Public Library and try it out for yourself. Students and faculty at the University of South Florida are taking advantage of the extensive possibilities of 3-D printing. And a number of Tampa Bay businesses such as Engineering and Manufacturing Services and Tangible Labs are turning profits using high-end, commercial printers to mass produce such items as medical devices, military equipment and prototypes. Increasingly, you can even do 3-D printing at home, with devices that used to carry a price tag of thousands of dollars now costing as little as a few hundred at Best Buy and Staples. In 1914, a fire burned down the original dorm at the site of the Arthur G. Dozier School for Boys in Marianna, killing at least six children and two staff members. No blueprints or photos of the building remain, presenting a big problem for researchers who wanted to understand how the fire spread. With the help of Howard Kaplan at USF’s Advanced Visualization Center, lead Dozier researcher Erin Kimmerle used descriptions from Jackson County residents and former school staffers to build a 3-D printed model of what the school would have looked like. The 3-D model allowed researchers to also test different scenarios of where the fire was said to have started and how it spread. Stories like those are no longer uncommon at USF. In several university departments, 3-D printing technology has implanted itself into cross-disciplinary research: engineering students work with USF Health researchers to create models of hearts with birth defects from CT scans; architecture students create to-scale, 3-D printed models of entire cities. Even fine arts students are using the technology to 3-D print their digital sculptures. In the John F. Germany Public Library in downtown Tampa, families, techies and aspiring entrepreneurs are seeing this developing technology up close. In November, library staff unveiled the Hive, a multimedia and technology hub nestled on the third floor. The Hive boasts two mid-level 3-D printers in addition to a recording studio, an art center and a robotics center. Classes using freely available 3-D modeling software are taught weekly to Hillsborough County residents, and staff members encourage them to use what they learn and take advantage of the free 3-D printing. Hillsborough County and Friends of the Library fully fund the Hive, offering four hours of 3-D printing per month at no cost. Principal librarian Megan Danak said the 3-D printers attract a lot of attention. Printers used at the Hive have become the standard in consumer-level and at-home 3-D printing. The Hive provides hourlong courses in some of the more user-friendly and free 3-D software such as Tinkercad and Blender, allowing students to tinker with their creations at home. Library technical assistant and Hive staffer Taynisha Berengher said she is surprised most by how quickly young people are picking up on the technology. “We’ve had kids as young as 9 or 10 years old blow us away with what they can create after a class or two,” she said. The Hive has also worked with some young entrepreneurs looking to create prototypes of their new inventions. In addition to The Hive, groups of tech-savvy and creative individuals have created what they call “hackerspaces” to pool money for 3-D printers and other technologies, as well as to share ideas and knowledge. They fund the purchase of printers through memberships to the hackerspace. Groups such as Tampa Hackerspace and St. Pete Makers, which just recently entered the hackerspace scene, hold classes for members and the public to learn about 3-D printing and software. Even if the technology remains more popular commercially and within the confines of research, USF’s Kaplan said the technology will ultimately have a huge impact on the everyday lives of consumers — from 3-D printed medical devices, bio-printed organs and a more tactile and visual education experience. Welcome to the Future of Emergency Medical Care! The U.S. military is reportedly looking into an idea that’s always seemed a little more like something straight out of a science-fiction novel. The military is reportedly in talks with the University of Nevada to develop 3-D printed “twins” of American soldiers. The concept would require troops’ bodies to be scanned and images stored. Those images, in turn, would assist doctors and surgeons in developing 3-D printed prosthetic body parts should the soldiers ever become wounded in battle, according to 3DPrint.com. “The idea is to image someone when they are in a healthy state so that the data is available if it’s needed at a later point,” James Mah, a clinical professor at the University of Nevada said. “We have soldiers who get injured. They lose limbs and other tissues and it’s a challenge to reconstruct them in the field. but if they are imaged beforehand, you can send that over the internet and have a 3D printer in the field to produce the bone,” Mah said. A similar method is already used among some in the medical field. Medical students, for example, use virtual operating tables that allow them to dissect and operate without ever needed an actual human body in front of them. The tables are created in much the same way as what the military is reportedly looking to do for wounded veterans. With an X-ray, MRI or ultrasound, an exact replica of a human body can be engraved into the table, thus creating a virtual cadaver. But this isn’t an entirely new innovation as doctors have been developing 3-D printed body parts for a few years now. In 2013, doctors were able to create a virtual windpipe for a baby born with a rare, life-threatening condition. Another example happened in 2012 when doctors used the technology to give a 2-year-old girl motion back in her arms. TheBlaze reached out to a Pentagon spokesman asking for more information on existing plans, but no immediate response was received. 3D printed organs for TV series Grey’s Anatomy! 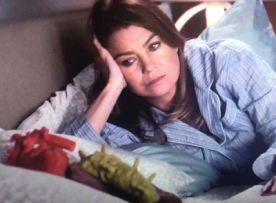 A 3D Printed Heart and Liver Were Recently Featured on the Popular TV Series Grey’s Anatomy! Gray’s Anatomy, the textbook of human anatomy originally written by Henry Gray and illustrated by Henry Vandyke Carter, was widely regarded as the seminal work on the subject and it’s still revised and republished today. Since its publication in 1858, it has served as a crucial guide to doctors and surgeons in their daily work, but it’s a safe bet that Gray and Carter didn’t see it coming that their work would one day influence hospital dramas like ABC’s hit “Grey’s Anatomy,” and less likely still that they’d foresee that show discovering 3D printing. Now that 3D printing technology has reached into the operating theater, the American consciousness, and even into living rooms in the heartland, Gray and Carter would surely be proud. 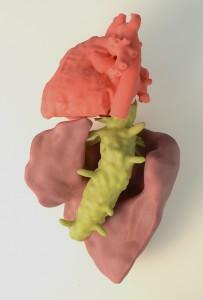 The doctors at Grey Sloan Memorial were featured using 3D printing in one episode from season 10 where Dr. Yang 3D prints a “portal vein,” and Dr. Grey attempts to 3D print a heart. In fact, at the end of that episode, Dr. Yang discovers that, on her trip to Switzerland, 3D printing is widely used by medical professionals there. One Dr. Burke goes as far as to say Dr. Yang’s dream is to build fully-functional, 3D printed hearts. 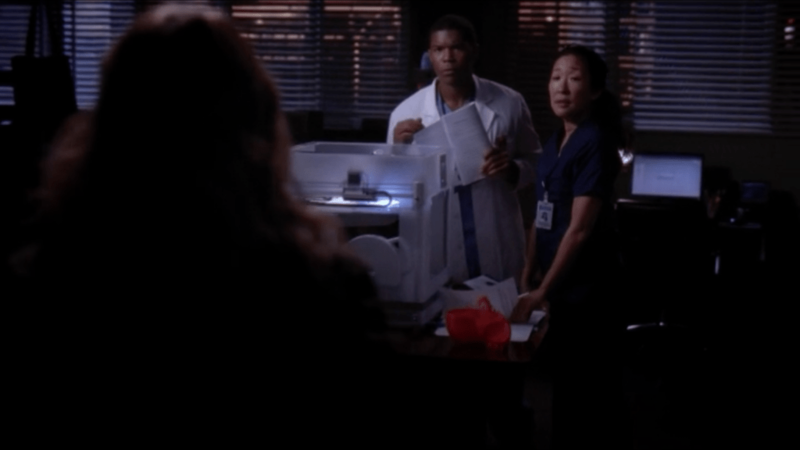 And the series is at it again with an appearance from a CubeX 3D printer which the Grey’s staff used to build a customized heart and liver model. The model of a patient’s heart and liver used on the show was designed and 3D printed by 3D Systems in conjunction with their entertainment division, Gentle Giant Studios, and it was printed by their medical solutions division,Medical Modeling. Medical Modeling was built on the idea that medical imaging studies could be used for diagnosis and to drive clinical treatment, and they’ve developed surgical planning and clinical transfer tools. To date, the company has worked with surgeons around the world on tens of thousands of cases. They were also acquired by 3DS in April 2014, becoming part of the larger 3D printing revolution. 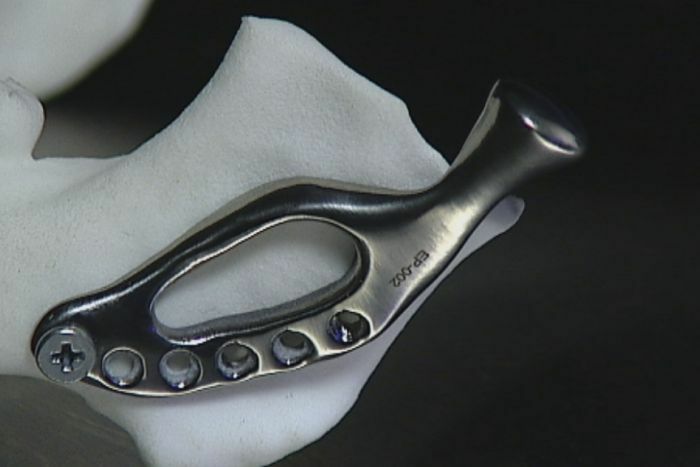 At this stage, engineering-based solutions for reconstructive surgical problemsare a part of the standard medical tool kit, and customized prosthetics are common. Medical Modeling says 3D printing is used in hospitals around the world for applications ranging from surgical pre-visualization to treatment planning and training. To make the heart model, the team used a ProJet 660Pro, taking the idea from a photo of a simple sketch on a napkin to a fully-printed model in just four days. 3DS says the anatomically correct, full-color model needed to fit the script, appear life-like, and be fully 3D printable. The creation process took place through a number of design iterations during which the “Grey’s Anatomy” production team reviewed the models and provided feedback, and the Medical Modeling team used Geomagic Freeform software to create the finished product. Now that prime-time television has embraced the medical uses of 3D printing, how long do you think it will be before patients are asking to see models to help them understand their treatment options? Let us know in the Grey’s Anatomy Medical 3D Printing forum thread on 3DPB.com.